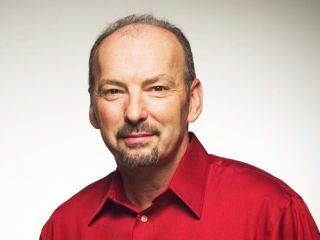 Xbox 360 boss Peter Moore has officially resigned from his role at Microsoft and will have nothing further to do with the company. Moore made the announcement late yesterday, in a move that surprised even the sharpest analysts. Moore's resignation from Microsoft comes one day after he took a serious swipe at the Sony PS3 , saying it is failing in Japan by a larger margin than the Xbox 360. That fighting talk now looks as though it was Moore's final parting gift to Sony, his largest adversary since he took control of Microsoft's Xbox gaming arm in 2003. In the past, Moore has repeatedly endorsed the Nintendo Wii as the preferable alternative to the PlayStation 3, stating that customers could buy a 360 and a Wii for the same price as one PS3. "Peter has contributed enormously to the games business since joining Microsoft in 2003 and we are sad to see him go," said Robbie Bach, Microsoft's entertainment and devices division president. "Since that time, he presided over the global launch of the Xbox 360, spearheaded a revitalised and rebranded Games for Windows business, and helped steer the console's ascent." Moore will be replaced by Don Mattrick, former president at Electronic Arts and external advisor to Microsoft's entertainment division. The Liverpudlian says the reason for his departure from the Xbox fold is so he can return to San Francisco Bay and be with his family. He's already got a job there too, he's the new president of EA Sports .